At NTXPM we’re big enough to handle Richardson property management. When it comes to property management services in Richardson we pride ourselves on our customer service. We are big enough to get the job done and small enough to care about our customers. We’re a bit like Richardson in some ways, which is not too big (like Dallas) and not too small (like some small town such as Decatur). We believe in first class customer service, both to our landlords and their renters. We understand that, as a private landlord, whether you have one property to rent, or perhaps four or five, the only thing you want is to sit back and relax and watch your rent checks coming in every month. As far as everything else is concerned, you don’t want to know about it, and that’s as it should be. You don’t want your renter calling you up at ten o’clock at night because there is water trickling through the bedroom ceiling. You’d have to start searching around on Google for a 24 hour plumbing service in order to get someone to come out and deal with it. No, that’s our job. That’s what our property management services in Richardson, Texas, are for: to take all that aggravation off your hands. When there is water trickling through the ceiling your renter calls us and all we have to do is to make one phone call and we have a plumber on his way. This is because we have a list of contacts as long as your arm. We don’t need to go searching on Google because we have all sorts of skilled tradespeople on tap. Of course, renters in Richardson come and go. If they want to move, they only have to give notice and then they can leave. That is one advantage of being a renter: they don’t have a home to sell that could take six months, so they can up sticks and move whenever they choose. However, that means that you don’t have a renter, but with our property management services in Richardson your property won’t be empty for long because we often have people waiting for homes to rent in Richardson. Even if we don’t, we know all the best places to advertise in order to get you another renter as quickly as possible. That’s another job that you don’t have to worry about. 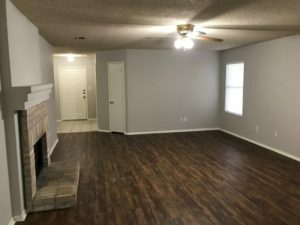 So yes, North Texas Property Management is big enough to handle whatever problems may occur with property rental in Richardson, but we are small enough to care. We really do care about our landlords, because we are also landlords ourselves: it is how we got into the property management business in the first place. North Texas Property Management Company is a top-rated property management company servicing the needs of rental property owners in the North Dallas suburbs of North Texas. If you’re looking for a Plano property management company, a McKinney property management firm, or a group of the hardest working Texans as Richardson Texas property managers, you’ve found it. We aim to be the best property management firm in Allen Texas and throughout the North Texas suburbs of Dallas, with a team of property managers that is second to none! Our property managers manage residential rental properties for real estate investors and rental property owners who want a property management service that will take the burden off of them of physically and financially caring for, maintaining, and managing their rental homes. We are also known as the top team of leasing agents in Plano and environs. Sitemap. Our rental property management services extend to Plano & Carrollton as well as Coppell, and additionally to out-of-state real estate investors/property owners. With some of the best property managers in Dallas, we work hard to maximize rental income while minimizing the stress for the rental owners. 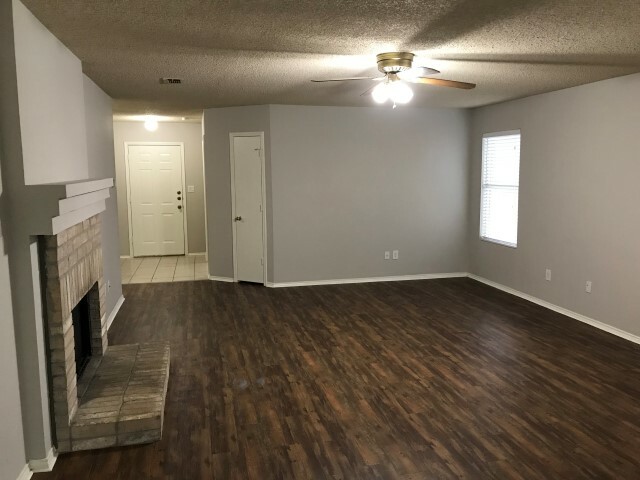 Copyright © 2019 North Texas Property Management. All rights reserved.